Tonight, at the grocery store, I picked up a box of the store brand cereal. Before I could get it into the cart, Andrew pointed out that it had constellations on the back, so we looked a bit closer. There was a star chart with a few constellations, a couple “facts” about the night sky, and a game matching the constellations to information about the constellation. Cool, right? Don’t see it? 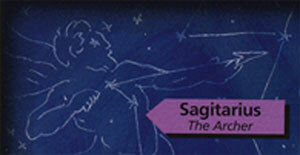 Sagittarius is spelled with two ‘t’s. Okay, no big deal — it’s just a small typo. Oh, and they repeated this typo in the answers to the constellation matching game! 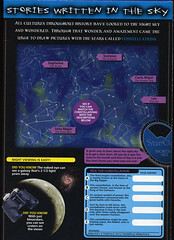 “A great way to learn about the night sky is to get a start chart”…hum, I think they meant star chart, not start chart. Well, okay. This was the store brand, afterall. They’re entitled to a couple typos for the greatly reduced price, right? 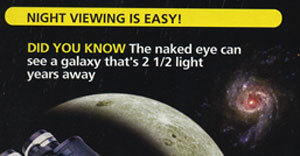 That’s right, the naked eye can see a whole galaxy that’s closer than the nearest star! Clearly this was just the omission of the word “million” (2.5 million light years away), but even discount cereal boxes need to have some level of accountablility.